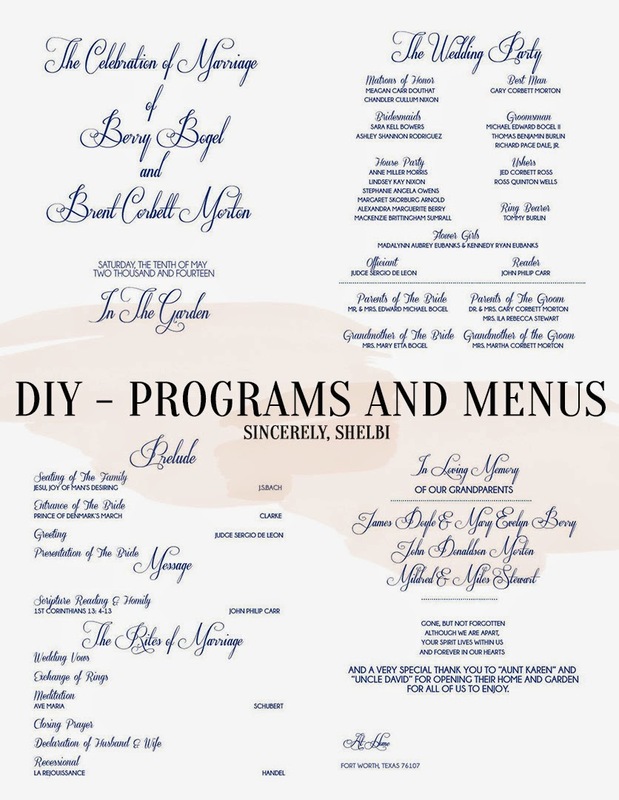 With Wedding Season in full effect – I thought an etiquette and DIY on Programs and Menus would be fun and appropriate, especially as Sincerely, Shelbi completed a rush DIY this weekend! I know, scary thought, DIY-ing your Programs and Menu’s? But, with the right templates and practice you can save hundreds, if not thousands, of dollars. 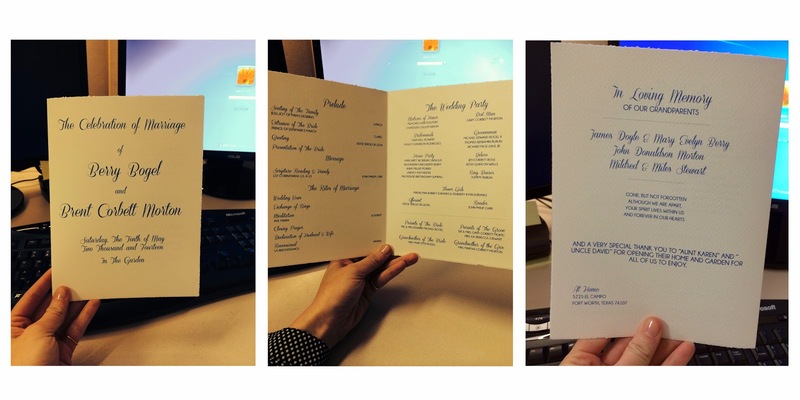 The remainder of the program and menu design was pretty simple. I used the same font that I found for the programs as the main font on the menus. I finalized the program design (show below with private information whitened out). Originally, the request was for deckle edge, ivory paper, which we purchased at Paper Source. We soon realized that, everyone else in the Wedding World, wanted to the same thing… making the options white or a color (we went with white). When I learned that printing on this paper was more difficult, I decided I would need to go back and redevelop the template… bolding the fonts and changing around the opacity. Again, I played with the idea of changing the font to a more bold and embossed pick, but decided there wasn’t enough time and that if I could make this work, I would feel better about it in the long run. When I was at the Paper Source, I couldn’t help but fall in love over, and over again. I began to take in the formatting used for their templates and the how-to guides they had up… helping me to complete this project to the best of my ability. • Make them original, but research the current stationary themes and trends. of eyes look at it. • Keep the design in the formality of your wedding. A special thank you to the Bogel's, for allowing me to help with this project! 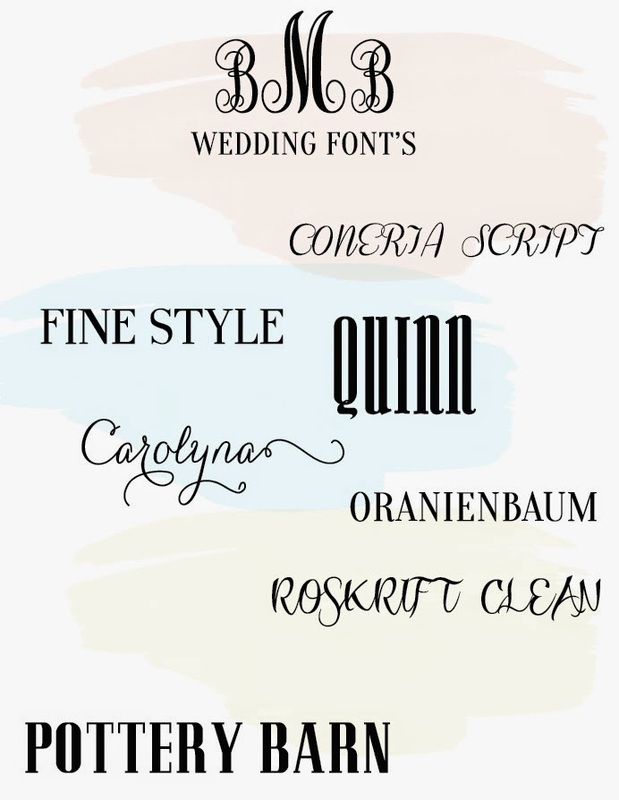 Are you attempting to DIY your wedding invitations, programs, place cards or menus?